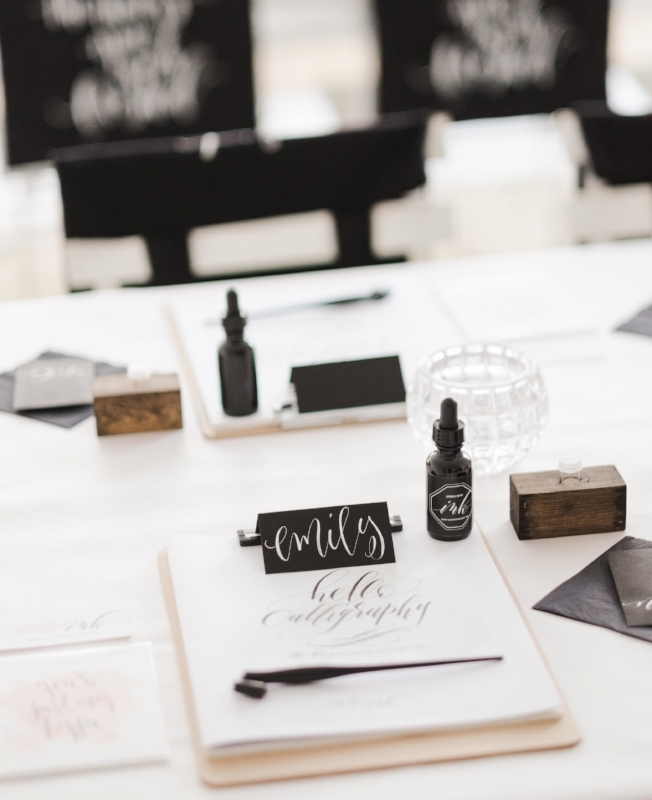 Learn the art of Modern Calligraphy with Angi of Angelique, Ink in a three hour workshop, where you'll explore and practice the tools and proper techniques of modern pointed pen calligraphy. In this class, we'll go over everything from techniques of basic pen strokes to proper construction of letterforms, connecting letters, and tips on styling and composition, so you can walk away with everything you need for developing your skill and style. Each student will receive a complete take-home calligraphy supply set, curated by Angi which includes her instructional guide book with alphabet exemplars and styling tips. This is a really fun, no-pressure workshop for anyone interested in learning a new skill, honing their skill, picking up a fun hobby, artist looking to try a new technique/medium, or just something fun to try with friends. Space is limited. Please enroll by 12/1 to ensure your spot in the workshop! Missed the deadline? Don’t worry - you can use the link below to sign up until the day of the workshop!